Today’s global economy requires us to prepare our high school students for college, technical, and career training. 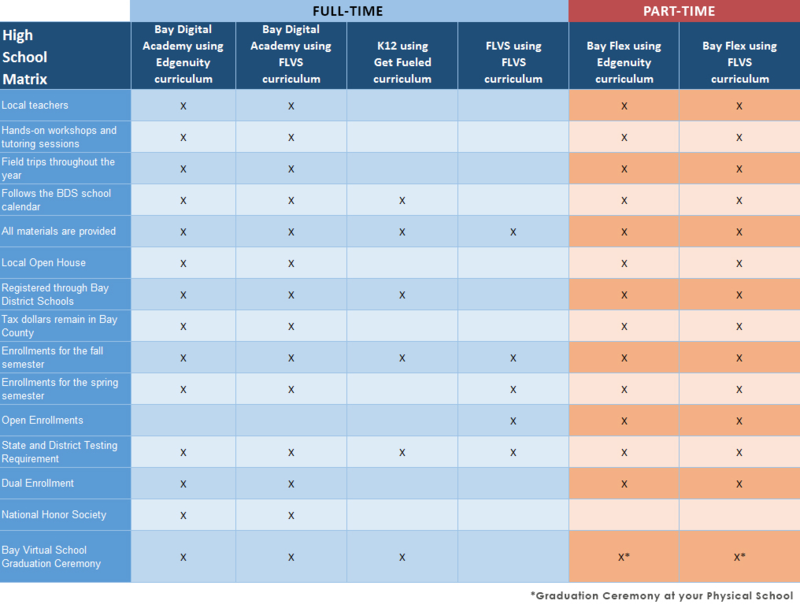 Our role at Bay Virtual School is to help our students with the wide variety of choices when planning your future path. Students that plan to enter the job market or military upon graduation need to be equipped with the required skills. Our counselors can help guide you through the process of choosing courses and diploma track options that will help you navigate this path. Many of our students envision entering college upon graduation from high school. What courses are required for college entrance? When should I take the SAT or ACT? How do I find scholarships and funding to get through college? Bay Virtual School guidance counselors will help you navigate through this process. Our courses may be virtual, but our commitment to meeting the needs of our students is hands-on.